C3 | You Like Battle Rap Right? C3 Explains Getting Arrested in Milwaukee With 40 B.A.R.R.S. 40 B.A.R.R.S. Beat Cortez and Got Locked Up? 40 B.A.R.R.S. In Jail? What Happened? The other day 40 B.A.R.R.S. battled Cortez at the Black Ice Cartel event. So, I just caught this today while I’m lookin for clues n’ shyt about how the battle went… It seems that somehow 40 got locked up [the day of the show?] out there in Milwaukee. She joked about it [see pics below] via her Twitter timeline. 40 tweeted that she got arrested for “domestic violence” against Cortez. I’m assuming that she’s being funny but I really can’t figure out what actually happened. Damn, anybody wanna fill me in on what happened? I guess C3 was there [in jail] too. I’ve been using all of my search engine investigative skills… So far I got nada. In the meanwhile, I guess I gotta start phuckin’ wit instagram n’ all dat. I’m a couple days late with all this. Oh, and rumor has it that BARRS played with Cortez and still won. 40’s funny as shyt. 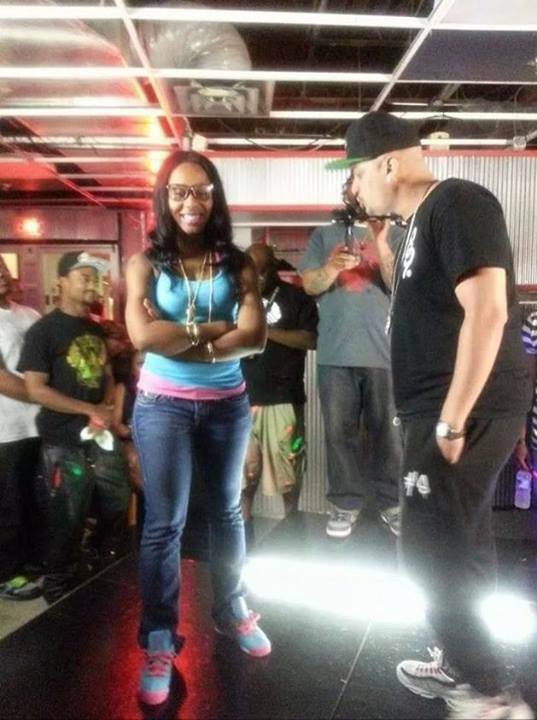 C3 gives a recap of her Caskets Or Classics battle with O’fficial. During the interview she also speaks on her feelings about the Daylyt vs 40 B.A.R.R.S. fiasco. This match up took place at Queen Of The Ring’s “N.B.O.” event. This battle features C3 (Queens) vs Star Smilez.